With new developments in communications technologies like smartphone web browsing and new developments in videoconferences like digital synchronization, Hanna Reporting is paving the way for more enlightened and efficient services within the court reporting industry. The Houston court reporters have presided over the legal community offering services such as legal videography, trial support, conference and deposition hosting, and realtime reporting for over 28 years. Their commitment to evolving with changing technologies and adapting client-first policies with regards to all services make Hanna Reporting one of the preferred firms in Texas. With their strategic partnership as part of the National Network Reporting Company (NNRC), Hanna offers its services nationwide. The NNRC is the most comprehensive national court reporters organization in the country. Hanna has been a member of the NNRC for over a decade and continues to set the pace for developments in all court reporting developments within the industry. Jim and Kelly Hanna, the co-proprietors, are noted for their accessibility and hands-on dedication to all services. 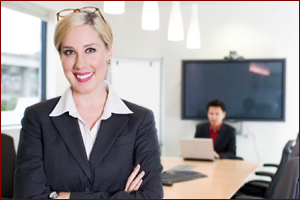 The company’s team of certified reporters provides expert delivery of transcripts from depositions and trials. 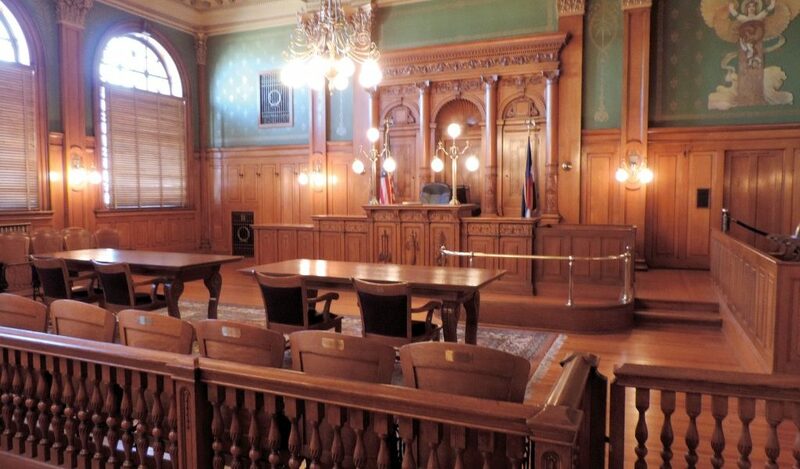 The Hanna team also provides all the meeting rooms necessary for mediation and depositions. Houston, Texas 77024, Hanna also provides legal teams with easy access to their offices and conference rooms. The importance of providing local, state and national coverage is a crucial component of the firm’s success and explains why Hanna has thrived as long as it has, twenty-eight years and counting. For more information on Hanna Reporting visit their official website at hannareporting.com. While automation and various technological provocations are changing the American workplace and influencing the workforce, court reporting, aka “stenography”, is one of those old-fashioned professions that remains largely un-affected by this phenomenon. Court reporters have benefited in a significant way by embracing key technologies and maintaining the traditional values of professionalism, punctuality and other traits. Let’s begin with the simple fact that nothing can replace a human being when it comes to analytical judgement and improvised interaction. For court reporting firms and organizations like the National Network Reporting Company (NNRC), the importance of having a trusted reporter, videographer and litigation or trial support professional has in fact increased over time. 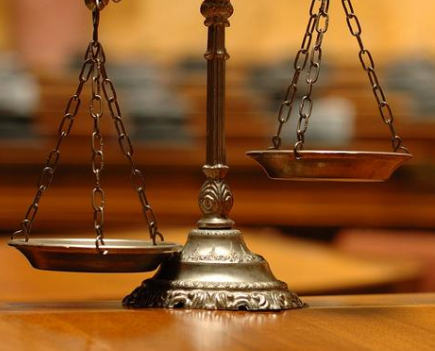 Thanks to the increase of litigation in the fields of business law, medical malpractice, probate law and other areas of practice, the sheer volume of requests for deposition experts has increased in a corresponding number as the American economy grows. This means that court reporting firms large and small, are experiencing a sort of renaissance, even as many of the combat the expansion of mega-firms. While developments like automatic checkout (without the presence of a cashier) and electronic banking, have heavily negatively impacted the job force, forcing many people to look for new careers, the legal professions as diverse as expert witnesses, videographers, stenographers, marketers and others have all experienced a steady and improved series of workload increases. Our clients are very keen as to the impact of technology in their cases. Between video depositions and the ability to schedule a court reporting service from a smartphone, we have found that the conservative nature of the reporting industry is benefited from a basic understanding of the changing nature of technology, from the use of mobile-friendly websites to 24/7 scheduling abilities. While court reporters are essential to the legal team an attorney puts together, we have still emphasized the importance of embracing the right technologies to give us an advanced position relative to our competitors within the industry. What distinguishes court reporters and doctors from other replaceable professions is the simple fact that nothing can replace an experienced professional when it comes to transcribing, editing and providing printed documents for depositions, trial records, and other materials. Add to this need the importance of competent and experienced members to form a strong legal team and develop a winning case and one can see why attorneys are always looking for reliable reporting firms. Technology has, however, impacted the reporting profession in other ways. First, the importance of mobile booking for last minute schedulings of services has made on-the-go paralegals and lawyers much more fluid in how they manage their cases. The development of tele-conferences and electronic online records also means travel and mailing (snail mail that is) are less and less important. If you ever want to see how social media can be utilized to promote a region’s economy, bring attention to its cultural centers, and spread the good word, all by a political figure at the local level, go to Barbara Sharief’s Facebook page. Barbara Sharief is the Mayor of Broward County and one of the up and comers in the world of Florida politics. What makes her compelling for businesses large and small is her savvy, frequent, and high quality social media presence. Between her Facebook, Twitter and Pinterest pages, Barbara Sharief highlights not only her career accomplishments, inevitable public appearances, and family gatherings to personalize herself and her identity in the eyes of her constituents, she also provides a great platform to learn about events and happenings in the Greater Broward County area. In the process, the Mayor offers a master class in accessible, fun, and informative postings. Whereas most political use of social media is either mind-numbingly neutral or highly offensive (both intellectually and morally) (we won’t name names), Mayor Sharief demonstrates the power of social media to communicate ideas and inform people from all walks of life, regardless of identity, financial background or geographic location. 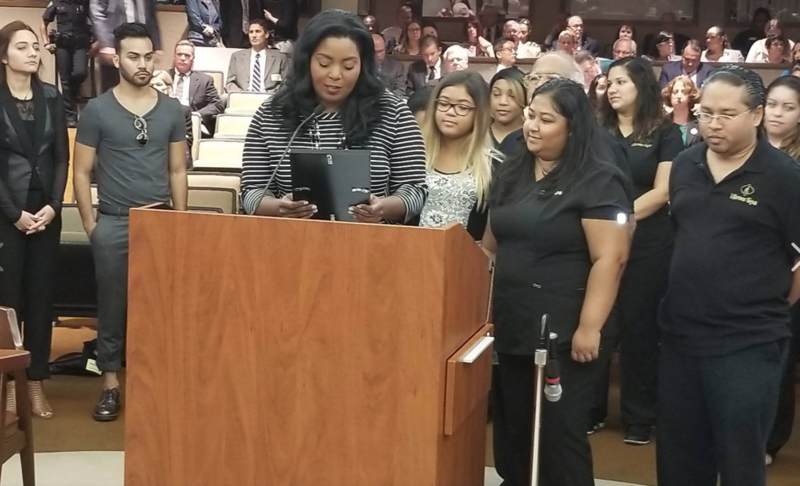 For example, her Facebook page recently offered moving photos of her proclamations for the “Broward Means Business Initiative,” a poignant and highly impactful series of posts that highlight successful local businesses such as ibrow Spa and the Flashback Diner. These and other businesses are featured as well in Barbara Sharief’s excellent Pinterest page, where readers will find posts and photos related to local restaurants, hotels, and beaches. Getting social media right requires the correct blend of content dedicated to oneself and to others. It requires an understanding of one’s community and target audience. Mayor Barbara Sharief hits home runs on both marks. Her community and her businesses are fortunate.